Parquet floors differ from the traditional hardwood floorboards as it is specifically cut into smaller pieces and can be laid in various of patterns on of the most common would be the herringbone pattern. 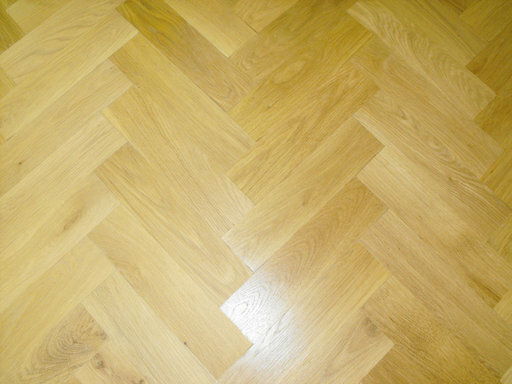 These oak parquet blocks are offered in prime which is the best quality grade that would not have colour variations and there will not be any visible knots. They come in measurements of 70 mm width, 350 mm length and 20 mm thickness. Book a fitting service for your for only £00.00 excl. Vat, based on the Size of room specified above. Offer is excluding of Underlay and mouldings and other services. Unfinished products will require additional sealing & finishing service, not included in this quote. Our Final installation Quotes come with Extended Service Guarantee and are subject to an Obligation free site visit (currently London areas only). Smaller sized areas (below 15 sqm) will be subject to a minimum charge.